San Diego Comic Con kicked off today with the annual preview night where attendees can get their first look at the displays and exclusives available over the next four days. 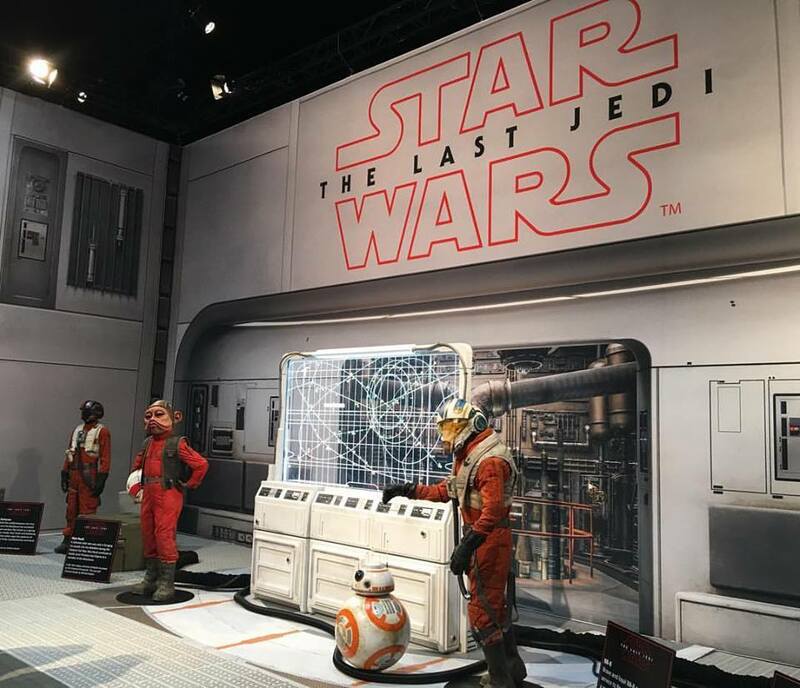 While there will be no major preview panel for Star Wars: The Last Jedi (there was behind the scenes reel released last weekend at the D23 Expo), there is still plenty for fans to enjoy on the convention floor. 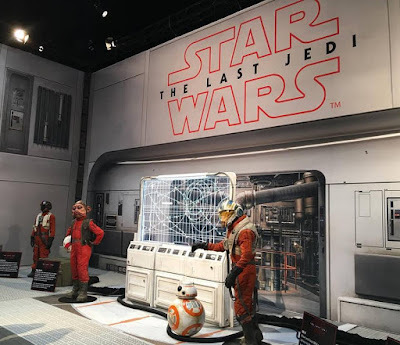 I had a look around the floor today in search of some of the best Star Wars displays and here's what I found. But that was just the tip of the ice berg when it comes to the Lucasfilm Pavilion. You can see more of the displays in the pavilion in the gallery below. A skillful fighter pilot of Abednedo descent, C’ai Threnalli flies as Poe Dameron’s wingman following the evacuation of D’Qar. Now that the conflict between the First Order and the Resistance has escalated into open warfare, Poe shines as a daring squadron leader. Ever brash and foolhardy, his hot shot antics wear the patience of both First Order and Resistance command. And all that just scratches the surface of the Star Wars stuff that's in store for this weekend. There are Star Wars panels every day and plenty more hidden gems on the convention floor. Also, on Friday announcements about Star Wars collectibles (including Hasbro) and Star Wars publishing are expected.